Makeup is an art and like every artist, the makeup persons also require their tools to be incorrect shape and form. 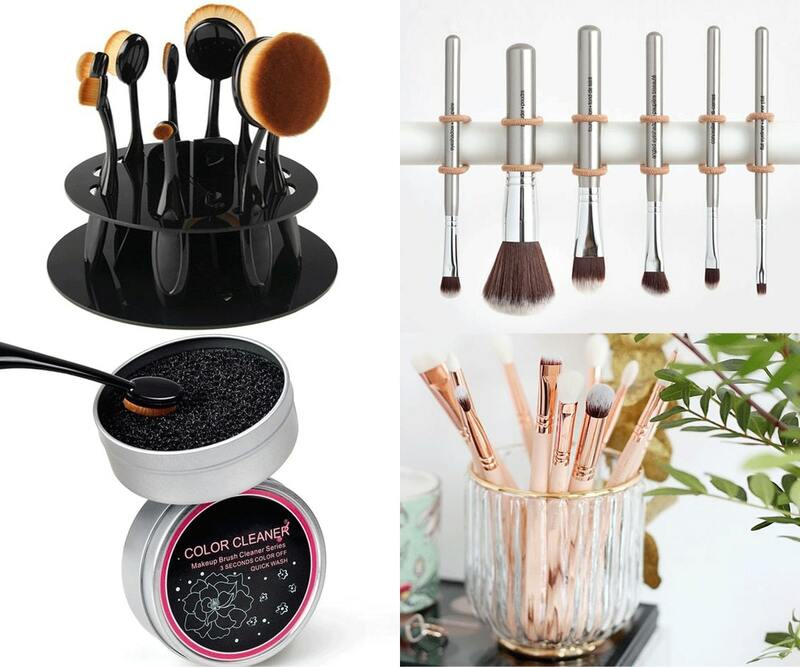 The final output of makeup depends not only on the quality of products used but also on the state of brushes with which the products are applied. Thus, as a makeup service provider, keeping makeup brushes clean is an important activity and it should invariably be done. 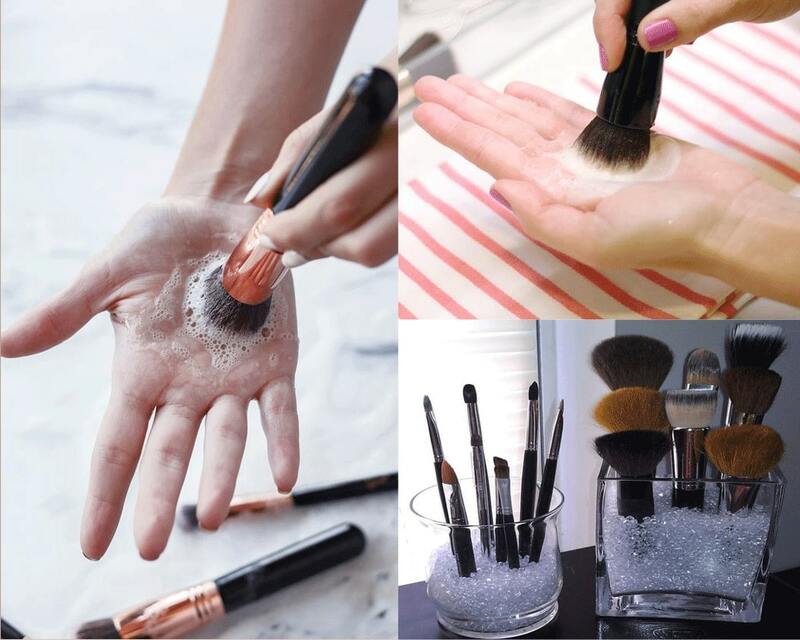 Here is a detailed overview of makeup brushes and their cleaning routine that can help you in maintaining the best standards of hygiene while providing the makeup service. Makeup brushes are the tools that would come in direct contact with the skin while applying various beauty enhancement products. Thus, these need flawless maintenance. While applying makeup, the brushes catch dirt, and other pollutants like skin bacterial, residual makeup etc from the skin. These agents trapped in the brush can spoil the color and texture of products. Also, the makeup is likely to end looking blotchy and creasy if the brush is not uniform and smooth. Skin irritation: Since many of the makeup products are liquid or semi-liquid in nature, these can tend to stick to the brush and dry up. Such dried brushes with the product stuck to them can result into unwanted lines and make the whole work look patchy. Also, the residue of the product exposed to pollutants can cause irritation in the skin. Acne: All dirt and dirty agents living on the skin surface are lapped up by the makeup brush. Thus, the use of dirty brushes actually transports these enemies of skin back to it and does the harm. It also leads to clogging of pores as the smeared materials does not identify flat skin surface and pores and gets deposited everywhere, leading to more severe acne. Skin damage: The materials deposited over the brush get dried up in due course of time and become abrasive in nature. Thus, use of unclean brush can also lead to skin damage which can have burning sensation right away while applying makeup and the scars late afterward. Acne-free skin: Though the medical treatment is essential for curing acne, but clean brush can prevent your makeup kit from becoming the cause of that painful acne. The breakout of pimples and acne can be prevented by doing various things like changing diet, drinking more water, sleeping well, etc. However, an unclean makeup brush can spoil all the hard work done by you and may prevent you from enjoying the benefits of the changes useful for fighting acne that you brought in your life. Better makeup results: Makeup is all about changing the way you look. The user normally experiments with various concealer colors, blenders’ shades and eye shadow hues. But, if the unclean brush is carrying the remnants of previous makeup, then the results may not be as good as desired. Thus, the very idea of doing makeup can become a failure if the brush used is unclean. Prevents germ build-up: Anything that was in touch with our skin can become the breeding ground for germs. The deposits of colors and makeup products on the brush are no exception. 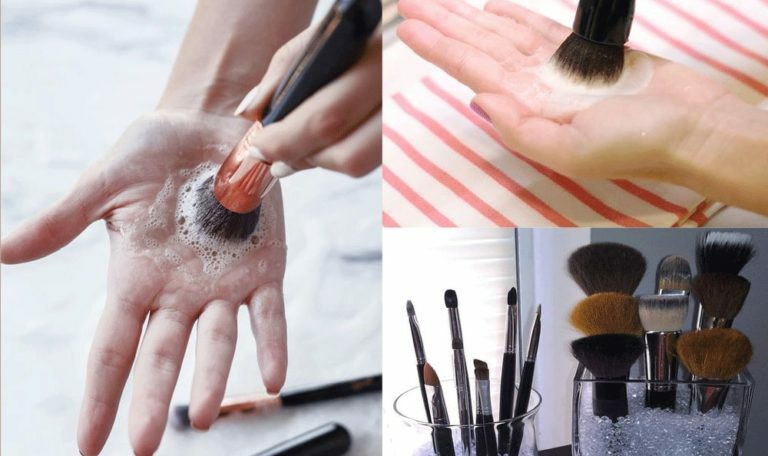 This is why; the makeup brushes which are not clean, start smelling bad after some time and also leave a smelly trail on the face which remains long after the makeup is over. Better shelf-life of brushes: Keeping makeup brushes well-maintained elongate the life of brushes. The hair do not crack up and the uniformity of the brush is not lost if the bristles are kept spotless clean. 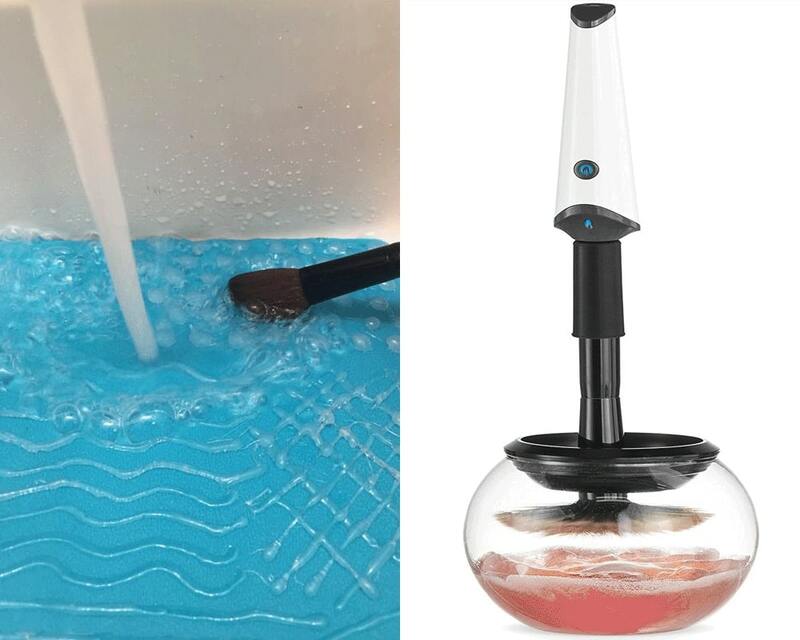 Put the brush (bristles portion) in lukewarm water and let it wet sufficiently. Use brush cleanser or cleaning soap by putting its drop on the palm and then by soaking the tips of bristles in this drop. Bring the brush to original form by gentle shaking. Put the brush on the edge of the corner with bristles hanging off to let the brush resume the correct shape. Never let the brush dry by keeping it vertical. The remains of the washed dirt can get accumulated at the base. 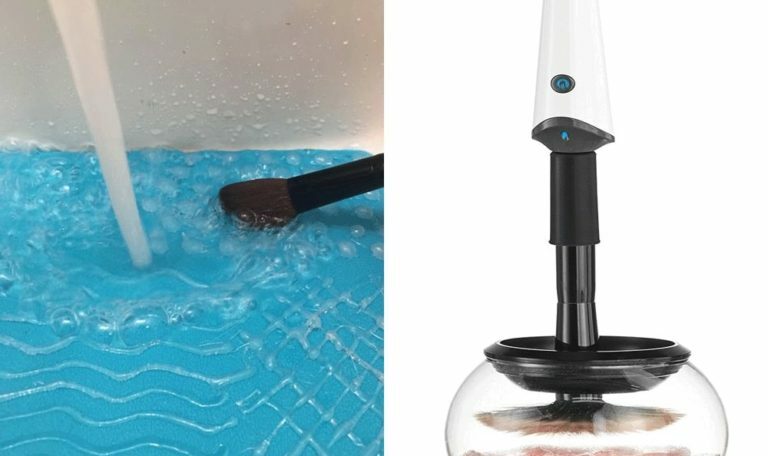 Never keep the wet brush covered with towel to dry it. It can leave the brush damp and can lead to development of mildew. Some specialists suggest using white colored brushes for makeup. This helps spot the dirt easily and thus, the cleaning procedure is not missed out. While washing, the base of brush head can be kept away from soap and water. This is because the glue with which the bristles are attached to the base can get diluted, which in turn, can loosen the bristles and cause their breakage. 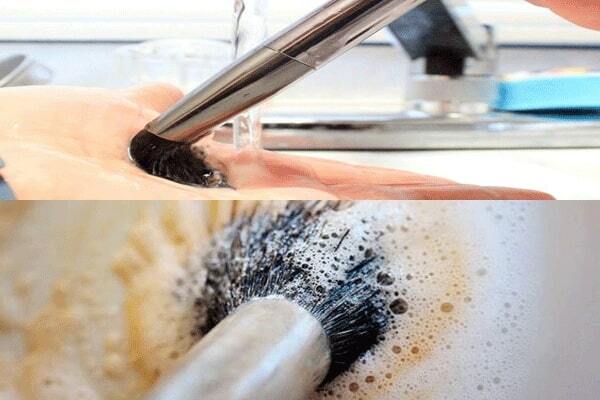 So, this is all you should know about the maintenance of makeup brushes. These tools are not so cheap and so buying them frequently can hit the pocket. Also, the regular makeup artists have a sort of tuning with the brushes; thus, parting with them does slow down the speed with which they can finish the task as setting hands on new brushes can take time.